IBM has announced the opening of its newest SoftLayer cloud centre in Sydney, Australia, with New Zealand companies already taking advantage of its hosting facilities. As part of company’s US$1.2 billion global investment to expand its cloud services, the new facility joins Melbourne in meeting the growing customer demand for scalable cloud solutions with global reach in Australia and New Zealand. 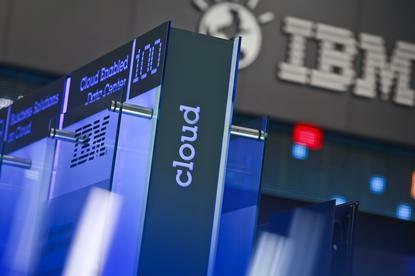 Since launching its first Australian cloud centre in Melbourne late last year, IBM Cloud has added hundreds of new customers and experienced a boom across other SoftLayer facilities in the Asia-Pacific (APAC) region, including Hong Kong, Singapore, and Tokyo. Building on this success, the tech giant says the new Sydney facility “makes it easy” for A/NZ customers, or those looking for an Australian location, to tap into IBM’s enterprise-grade offerings. Furthermore, the move helps broaden data redundancy options within Australia and APAC while providing scalable infrastructure solutions for both enterprise and born-on-the-Web businesses. Enabling IBM Cloud’s customers to deliver their services at a global scale, New Zealand-based customer Grinding Gear Games hosts the online action RPG “Path of Exile” in five IBM Cloud centres worldwide. For Grinding Gear Games, the broadening of the SoftLayer global network means eliminating latency and providing a reliable and enjoyable experience for end users. “Extremely fast provisioning times and the ability to automate such provisioning allow us to treat SoftLayer’s bare metal servers like virtual servers so that we can scale up rapidly when player numbers increase,” says Chris Wilson, managing director, Grinding Gear Games, an independent video game development studio. “SoftLayer’s free and reliable back-end connection between data centers is critical to the stable operation of our game service.